To celebrate 100 years of one of the world’s favourite storytellers, Roald Dahl, libraries are running The Big Friendly Read this summer holidays. The Summer Reading Challenge 2016 will feature some of Roald Dahl’s best-loved characters and the amazing artwork of his principal illustrator, Sir Quentin Blake. It will encourage reading on a BFG scale! 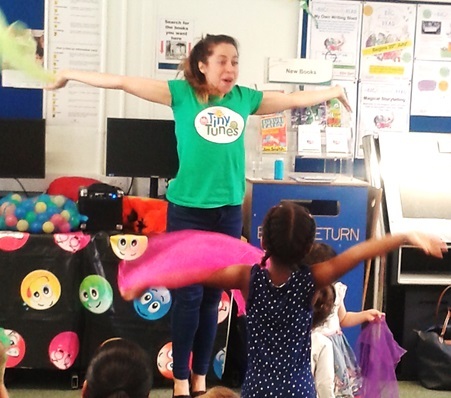 Aimed at primary school aged children, the Big Friendly Read is happening at libraries across Westminster all summer. To take part in the Challenge, all children need to do is sign up at their nearest library. It’s free! They’ll receive a special collector’s folder and as they borrow and read at least six library books over the summer, they can collect six special cards to complete it. The cards all feature original Quentin Blake illustrations and explore some of most popular themes in Roald Dahl’s books such as invention, mischief and friendship. Plus there are other rewards to collect along the way. 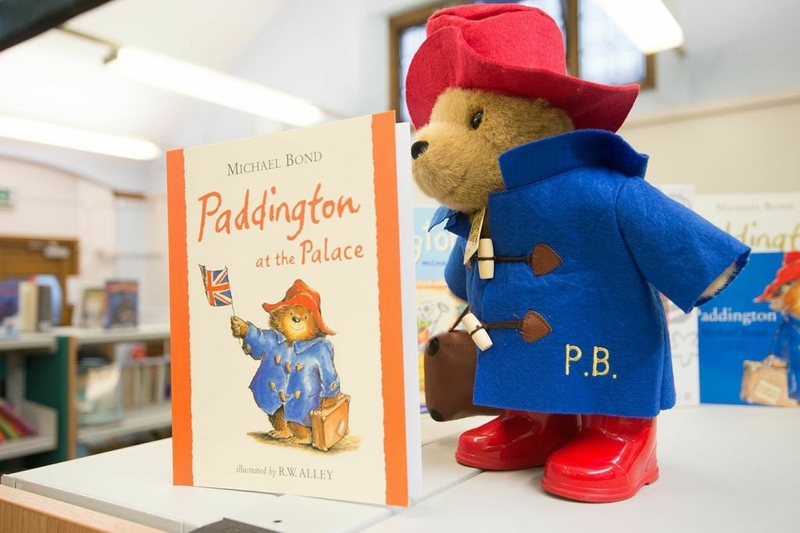 There’s a whole programme of events and activities planned in Westminster libraries for families over the summer to celebrate the Summer Reading Challenge. Have a look at what’s on at your local library. 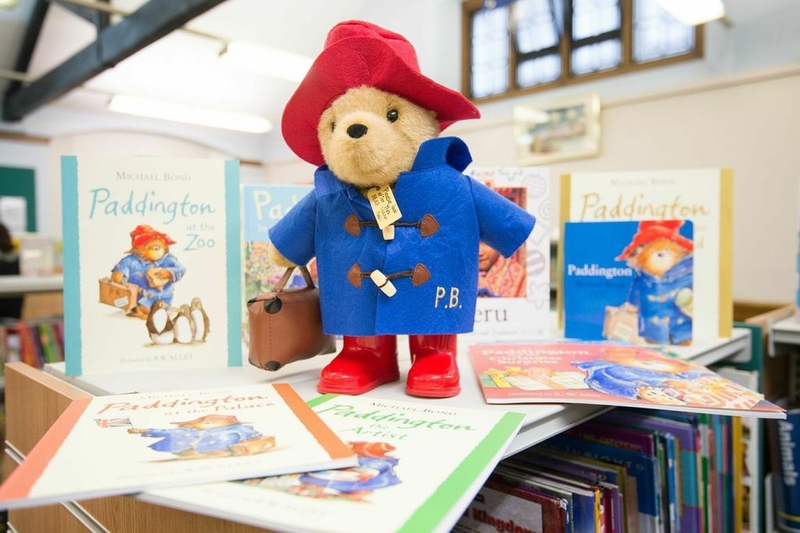 Paddington Library receives visitors from all over the world. They come to use the library’s wide range of services, often revisiting on subsequent trips to London. The library also receives visits from overseas librarians and educationalists who have heard about our community outreach, our Summer Reading Challenge, our homework club and how we engage with young people. 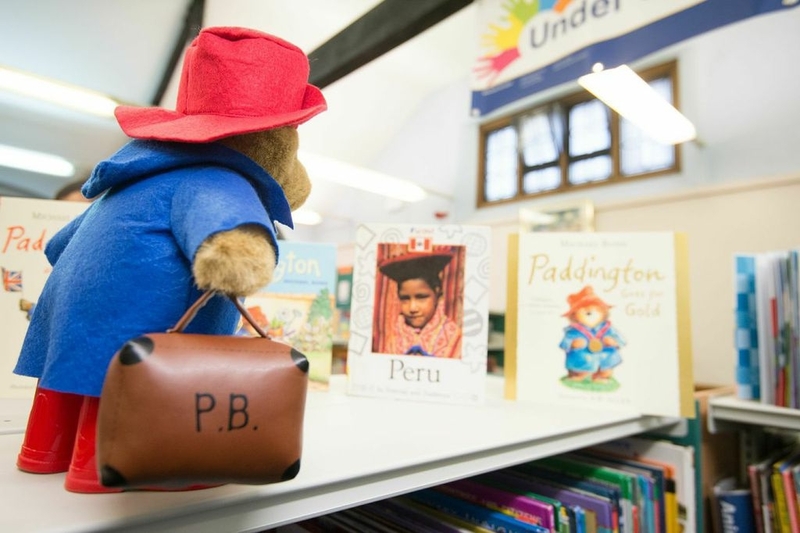 His Excellency the Peruvian Ambassador to the UK, Mr. Julio Muñoz-Deacon (accompanied by his wife and Embassy officials) and his Excellency the British Ambassador to Peru, Mr Anwar Choudhury visited together to read a Paddington Bear story to the Under 5’s song and rhyme group. 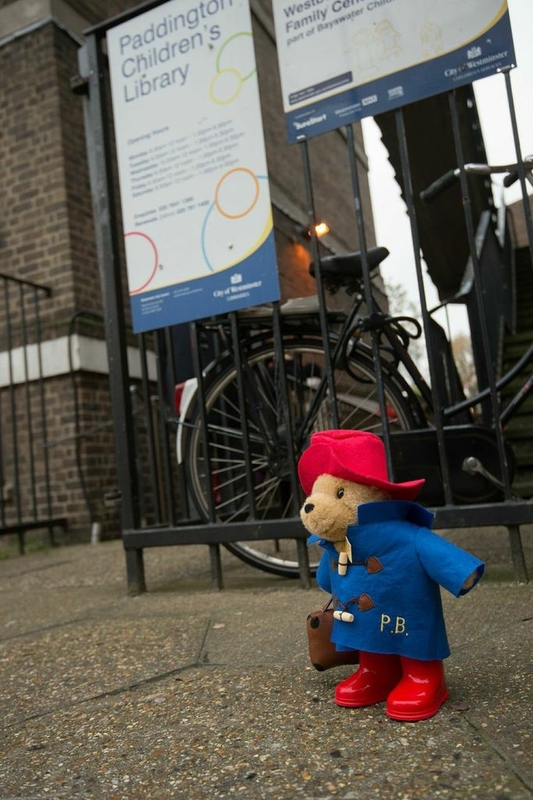 As you can see from the photos Paddington Bear thoroughly enjoyed his visit and the children were delighted with our special guest. Pictures courtesy of Gavin Conlon Photography Ltd.
We’re all going on a Summer Reading Challenge! Westminster Music Library hates to miss out on the annual Summer Reading Challenge, so a sunny morning with the under 5s was a good opportunity for us to join in the fun. 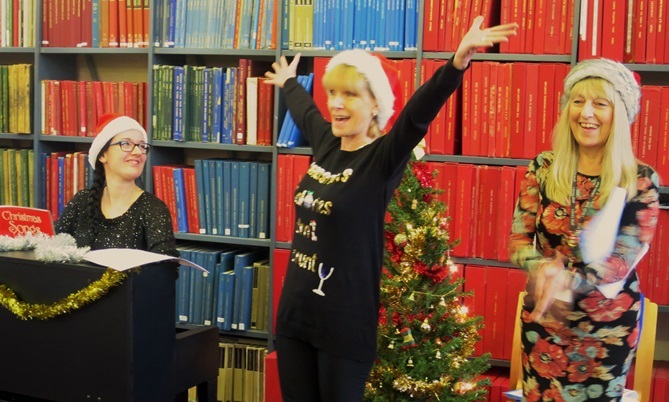 But even legends have to earn their keep, and entertaining a lively bunch of excited children counts as “all in a days’ work” to the staff in Westminster Music Library. Anyone wishing to join our ranks please take note. Back to our challenge. Once everyone was settled, it was time to give out some song sheets and get the party started. We had songs about going on summer holidays (written by Cliff Richard), songs about being beside the seaside (written by John A Glover-Kind), poems about frogs and sailors (product of the overactive imaginations of Music Library staff), all accompanied by our very own junior orchestra on a selection of percussion instruments, and sourced from the seemingly inexhaustible Children’s Library Cupboard. I’ve learnt and now I can! Charing Cross Library was closed for almost the whole of last month for a full redecoration, reopening last Monday 31 March. 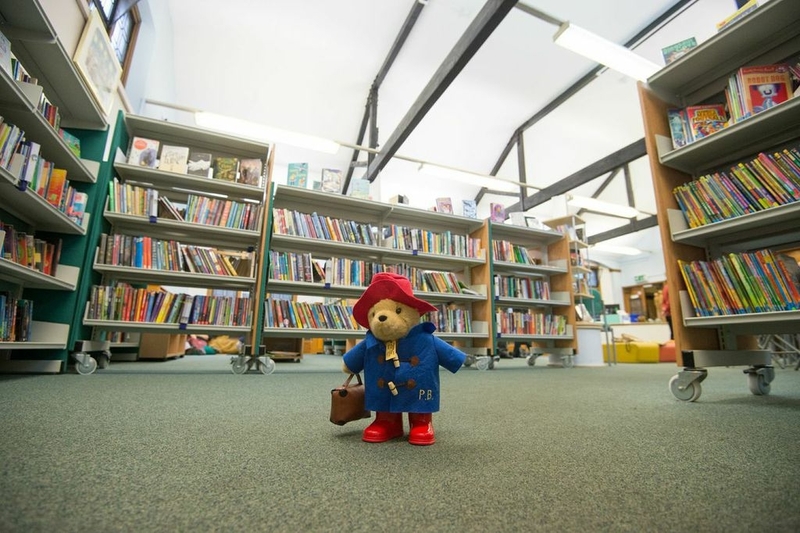 Our refurb has given us a fresh new look, with improved lighting and additional shelving, more laptop spaces (with more power points), an increase in seating, a much needed bigger space for the children’s library and display furniture for the front window. We had a wonderful Under 5s session this week, showing off our new space with new carpets and some new toys – the reaction of the children and their parents & carers was very positive. Do come in and have a look around! It’s become something of a tradition in Westminster Music Library; the staff spend all year looking serious and learned, behaving in a restrained and “librarian like” manner, until sometime in late November somebody utters those immortal words: “Shall we give the Under 5s a Christmas party again this year?” Oh yes we will, and before our house pianist groans loudly and reaches for the diary to book some annual leave, we’re knee deep in Christmas music, party hats, Santa suits and many accompanying bells and whistles. 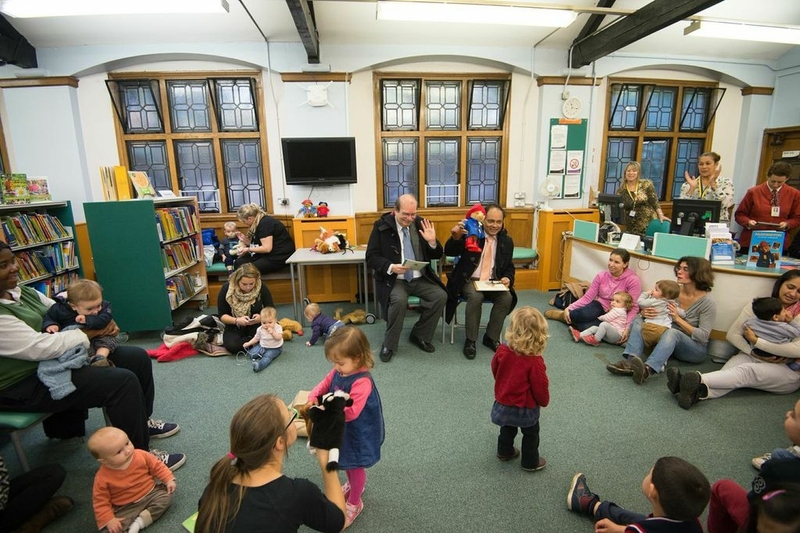 So it was that last Wednesday morning a large bunch of excited children and their even more excited parents gathered in Westminster Music Library in anticipation of fun, mayhem and general chaos. House pianist suitably installed (bah humbug) we were off to a flying start with a hearty rendition of Rudolph the Red Nose Reindeer. Sufficiently warmed up and getting ever louder, the tension built to fever pitch as we awaited a visit from the Big Man himself, none other than Santa Claus. Several verses (and choruses) of Jingle Bells but no sign of him, oh dear… could he have got stuck up a chimney? Or half way round the M25? Or was it something to do with a missing cushion, aka Santa’s stomach? 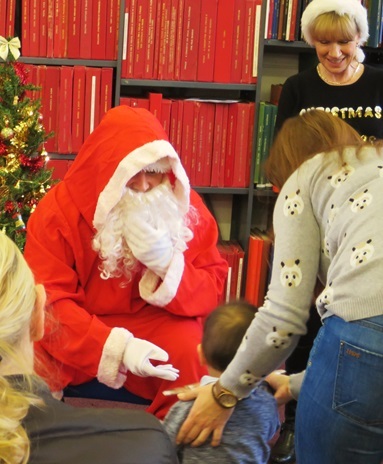 Finally, after yet more Jingle Bells, there he was, booted, bearded and (fat) suited in all his glory, and brandishing a large sack of presents to give to our patient audience. There was something for everyone, presents galore and everyone looked happy, well nearly everyone… pulling Santa’s beard does not a happy Santa make, and removing the fairy from the top of the Christmas tree to check whether she’s edible is really not a good idea. Presents liberally distributed (amazingly every child had been good); Santa went on his merry way, or more likely off to sit quietly in a darkened room. 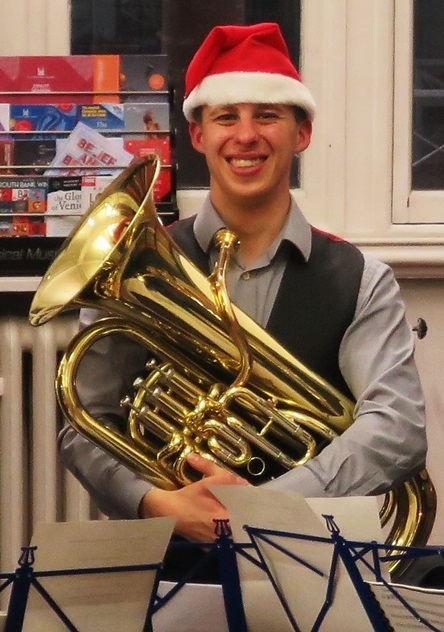 Despite his departure there was still time for us to belt out Walking in a Winter Wonderland; We Wish You a Merry Christmas, and Frosty the Snowman. 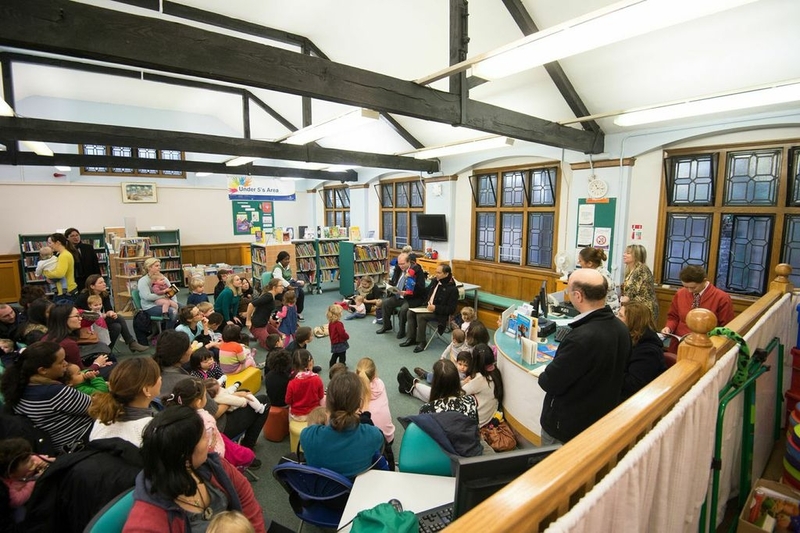 Last Saturday, Westminster Music Library played host to more exciting and successful Behind the Lines* workshops for Early Years and Primary Age children. Led by the talented musicians of the Royal Philharmonic Orchestra, 27 lively children from 2 year olds to 10 year olds took part in the workshop based on the music of Maurice Ravel; a Romantic, French composer who was particularly influenced by early composers such as François Couperin. After a few fun games to wake up our bodies and an introduction to the cello, violin, flute and trumpet, the children in the Early Years workshop started creating music to represent animals of the jungle; elephants, monkeys, and there were even some worms! 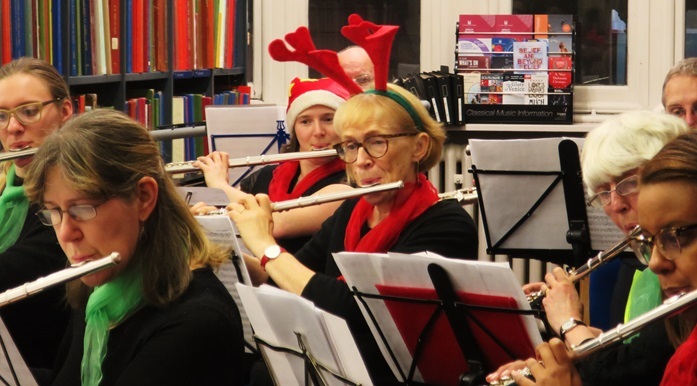 Some of the children may even have a future career in conducting as they took on the role as music leader, instructing everyone what to play and on which instruments! The children in the Primary Age workshop were extra enthusiastic and excited about the wide range of interesting instruments which included a marimba, African drums, and lots of other percussion – some even brought their own instrument. As an older group, the children were able to discuss composers and different genres of music, looking at different types of scores taken from the Music Library shelves. They were then introduced to Ravel’s Fugue from Le Tombeau de Couperin, excellently demonstrated by the RPO musicians. This piece is a six movement piano suite written between 1914 and 1917, each movement in the style of a Baroque movement. Ravel then orchestrated the suite in 1919 and dedicated each movement to a friend who had died in WW1. Taking the theme from the second movement ‘Fugue’, the children then set off to creating variations on Ravel’s music, splitting into groups of keyboard and percussive instruments. At the end of the session there was a show-stopping performance, with excellent solos from some of the children, singing from the whole group, and lots of fun had by all! Many of the children in the workshops on Saturday demonstrated their skills, talent, and knowledge of music, which was very impressive to see and hear; from improvising to knowledge of composers, to describing different styles of music. 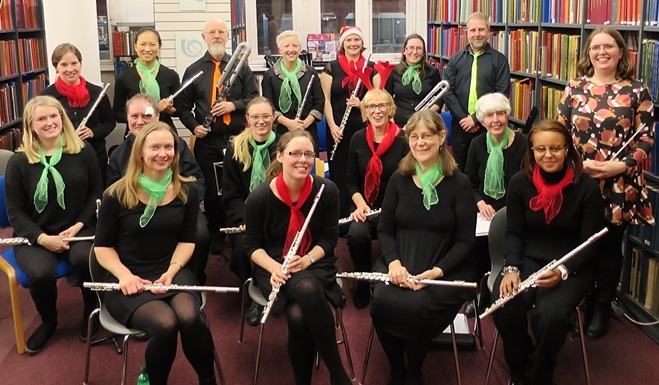 These workshops are an excellent opportunity for children and adults to explore, exhibit, and develop their knowledge of music further, as well as learning about the musical output of some great composers of the 20th Century as a result of World War I. There are lots more workshops to come, check out our website: http://www.musicbehindthelines.org/ to find out more.